The presentation stated that Linux has very limited camera and iPod/MP3 player support, as well as printer/scanner compatibility, and that the operating system doesn’t have authorized support at all. 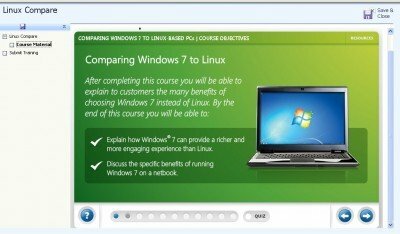 Linux is, of course, a far more ‘hands on’ experience than Windows is, but there are commercial distributions that do indeed have official support (from companies such as Red Hat). To add to that, the presentation says that Linux doesn’t include support for games such as World of Warcraft; this is an arguable statement, as it’s possible to get it running under WINE, but there’s no official support from Blizzard as such. Not to mention that tweaking it to be even comparable to running in windows is a feat.